Mesa, Ariz. — Oct. 16, 2012 — Ulthera, Inc. — a global, high-growth medical device company pioneering aesthetic and medical applications using its therapeutic ultrasound platform technology — today unveiled its new Ulthera System software upgrade, Ultherapy Amplify, which is now commercially available in the U.S. in new Systems and is currently being rolled out to existing Ulthera customers at no charge. The System upgrade integrates new treatment guidelines for its cosmetic lifting procedure updated to improve patient comfort without impacting efficacy, and to reflect treatment best practices. Also included is a more visual, intuitive user-interface, which allows practitioners to navigate through the procedure more efficiently. Ulthera, Inc. is a global, high-growth medical device company pioneering aesthetic and medical applications using its therapeutic ultrasound platform technology. The Ulthera® System is the first and only energy-based device to receive FDA clearance for a non-invasive aesthetic lift indication. It is used in a face and neck procedure known as Ultherapy®, which is cleared to lift skin on the brow, neck and under the chin. Founded in 2004 and based in Mesa, Ariz., Ulthera is a privately held company backed by top-tier venture capital firms, New Enterprise Associates and Apposite Capital. For more information, visit www.ultherapy.com. Portland, Oregon – In honor of National Domestic Violence Awareness Month, you can help support local women who are survivors of domestic violence while enjoying an age-reversing non-surgical treatment through Project LIFT. Dr. James Chan’s facial plastic surgery and aesthetic practice, Reviance Portland® Portland, announced a cross-promotional partnership today with Clackamas Women’s Services in Oregon that will result in financial and service donations to benefit survivors of domestic violence. “We are excited that Dr. Chan is choosing to support CWS and hope that our partnership will raise awareness for women in our area facing domestic and sexual violence. We want the community to know that we offer a safe place for survivors to find support and affirmation as they strive to become violence-free and self-sufficient,” said Executive Director Melissa Erlbaum. New and established patients of Reviance Portland® Portland can help support women who are victims of domestic and sexual violence when they elect to receive an Ultherapy Treatment, as a portion of all treatment proceeds are earmarked for Clackamas Women’s Services (CWS). Double board-certified facial plastic surgeon, James Chan, MD, specializes in facial plastic and reconstructive surgery and will donate a portion of Ultherapy treatment sales in October as part of his commitment to support CWS as part of his Project LIFT campaign, a program created to drive charitable contributions to help survivors of domestic violence. 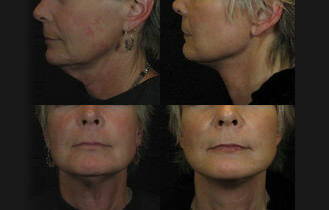 Ultherapy is the first and only FDA-approved non-surgical treatment to lift facial skin. Project LIFT campaign hopes proceeds and subsequent treatments will “lift” the spirits and lives of the women it supports. Dr. Chan and Reviance Portland® Portland plan to continue partnership work with CWS after October to offer other services and treatments to select CWS clients as part of an ongoing, supportive commitment.